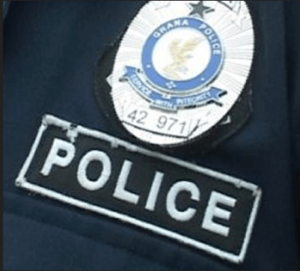 Deputy Superintendent of Police (DSP) Anthony Danso, Ho Municipal Police Commander, has reminded police officers of the need to introduce themselves and give suspects reasons for arrests before effecting them. He said it is the right of civilians to know reasons for their arrest and attributed some police-civilian brutalities to unwillingness of the police to introduce themselves and reasons for arrest. The Municipal Commander who was speaking in an interview with the Ghana News Agency (GNA), said the absence of professional touch to policing is the reason the public is losing confidence in the police and called for change in approach to police arrest. He said the standard is for the police to introduce himself, unit and reason for arresting a suspect in a very humane manner, which naturally would attract cooperation ” because the police and civilians are friends”. He also cautioned civilians against resisting arrest because it was a crime to do so. Mr Danso said the seriousness of a case determined whether a suspect should be handcuffed and that suspects should always be handcuffed at the back. The Police Commander attributed reduction of crime in the Ho Municipality last year to the flow of information from the public and called for more of such cooperation. He said the Command had taken delivery of vehicles and motorcycles and assured of intensified 24-hour patrols before, during and after the Easter festivities. Mr Danso asked the residents to be vigilant during the festivities to avoid incidence of kidnapping.